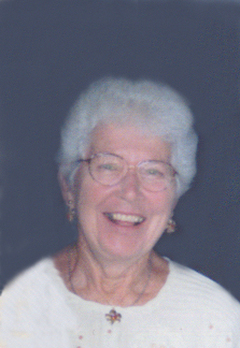 Jean M. Gryp, formerly of Elkhart, residing in Mishawaka, 92, passed away peacefully on November 14, 2018. She was born on March 22, 1926 in South Bend, Indiana to the late William and Elizabeth (Barbaro) Fargo. On January 7, 1950, she was united in marriage to Louis Gryp. He preceded her in death in 2003; also preceding is her brother, William Fargo Jr and her sister, Elaine Abell. Survivors include her children: Kenneth Gryp of Mishawaka, IN; Pamela (James) Byron of Elkhart, IN; Janice (Gary) Harper of Irvine, KY; Judith (Edward) Verhamme of Union, MI; and Mary (James) Winters of Mishawaka, IN. Also surviving are her 17 grandchildren and 18 great grandchildren. For many years Jean was a Registered Nurse at St. Joseph Hospital in Mishawaka before staying at home to raise her 5 children. Aside from her family and deep Catholic faith, her love for all things Notre Dame was foremost in her life. A Mass of Christian burial will be held on November 16, 2018 at 10: 30 AM in Queen of Peace Catholic Church, Mishawaka. Burial will follow at Highland Cemetery South Bend, Indiana. Hahn Funeral Home is assisting the family with arrangements. Memorial contributions may be made to American Heart Association, 7272 Greenville Ave., Dallas, TX 75231 or Center for Hospice Care, 111 Sunny Brook Ct., South Bend, IN.